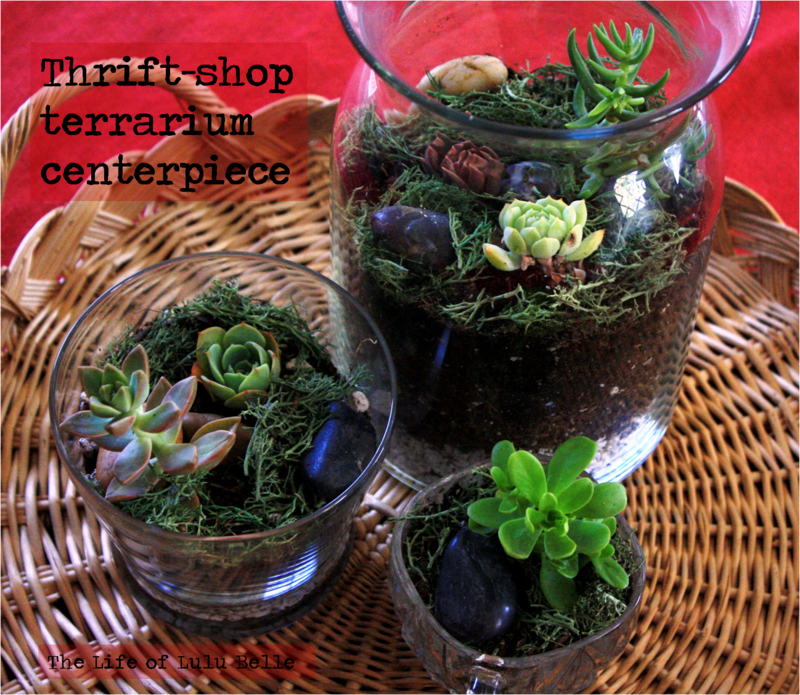 I had the succulents soil already, so with my thrift-shop haul, gravel, rocks, and moss, I spent about $8, for all 3 of the terrariums pictures, and I have plenty left for to make more! Carefully pour gravel into the bottom of your vessel, this allows for plenty of drainage for your drought-friendly succulents. I’ve read about an inch or so of gravel works well. Add your soil. 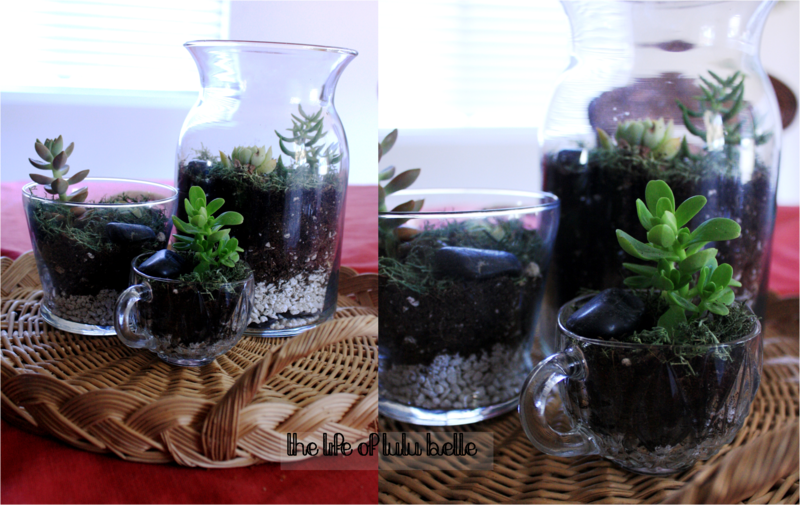 I like to add just a little water if the soil is very dry and dusty, it makes it easier to work with. Carefully plant your succulents, be sure not to over-crowd your plants since they will grow larger and some will spread as well. Lightly water every week or two, depending on your plant. Soil should not remain wet.